Motherhood is embedded with decades of tradition, with so many child-raising facts passed down for generations. From muslin swaddling cloths to sleeping bags and cot sheets, Aden and Anais’ range of baby wear is based on the family know how of founder Raegan Moya-Jones. And because she’s a mum herself, Raegan’s products have been developed for your baby but designed to keep your mind at rest that you're giving your little one the best care. 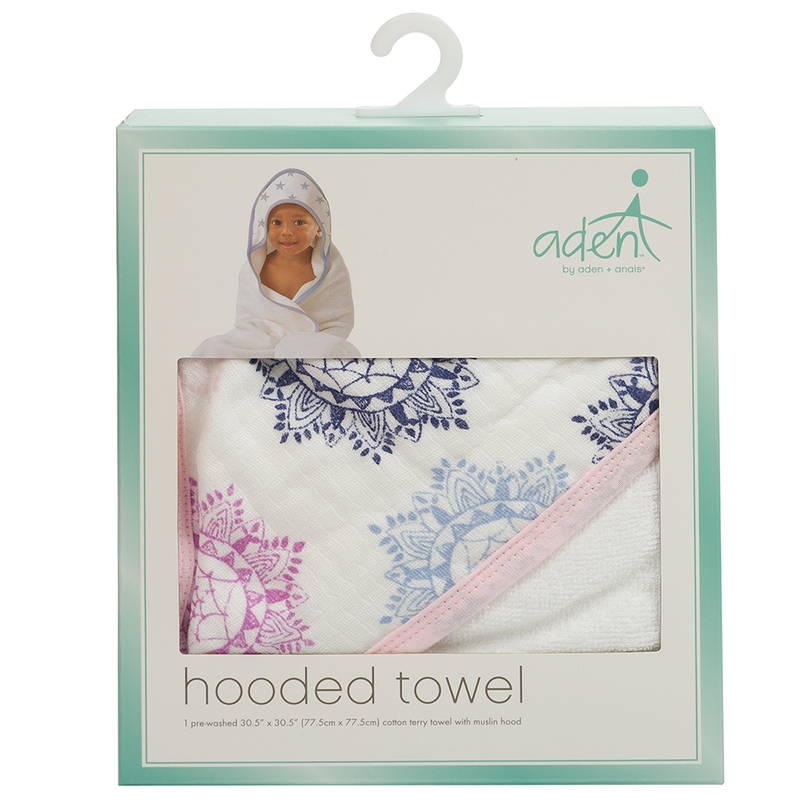 The Pretty Pink Medallion Hooded Towel by Aden and Anais is the perfect way to keep your little one warm and dry. Made from plush cotton terry, the machine washable towel has a colourful muslin hood that makes bath time fun and cozy. Ideal for babies and toddlers. Absorbent design – muslin hood keeps little heads warm and dry. Warm machine wash with similar colours. Presented in a Aden and Anais box. Dimensions: 77.5cm (l) x 77.5cm (w).